I teach kids 6 years old and up, and adults too. And I figure that drum lessons should be fun. 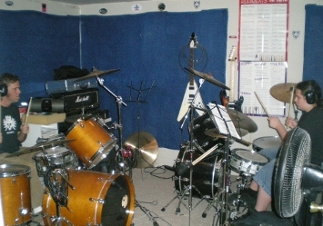 I focus on making your drum lesson a positive experience with lots of encouragement. Regardless of your musical experience, I will tailor instruction to your current skill level and goals. You bring the songs you want to work on or I will make suggestions. Whether you want to hone your skills or you’ve never picked up a pair of drumsticks, you’ll progress faster if we’re working together. 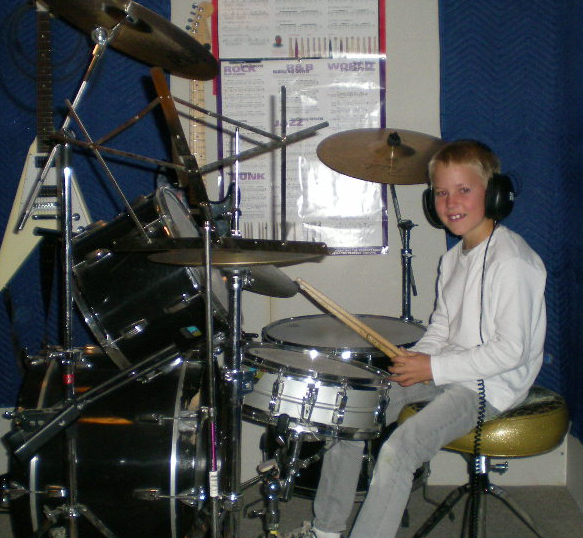 All drum lessons are held in my custom studio, equipped with two full sets, in Boulder's Table Mesa neighborhood. The cost is $30 per half hour. Call Bailey Cecil at (720) 201-1489 for more info.